The Firefox Web browser is and will continue to be a fundamental lever in driving the Web forward and advancing the Mozilla mission. Firefox OS is Mozilla’s mobile operating system, based entirely on HTML5. Today, 50 percent of 2.3 Billion people who go online do so primarily through a mobile device, and that number is expected to grow. With Firefox OS, Mozilla has set out to develop and a completely open and standards-based Web as a platform for innovation. We've built the technologies and APIs to make the Web a rich and viable option and we are committed to driving forward the adoption of HTML5 as a platform for the mobile industry. 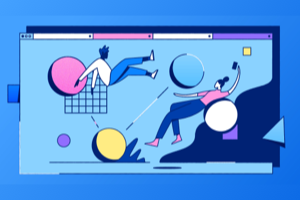 With the Mozilla Webmaker program, we are aiming to move millions of people from Web users to active Web creators who will build the next great Web experiences. The goal is to create a more Web literate planet through tools and learning programs that fuel creativity on the Web. At Mozilla, we measure success by how much we are doing to improve the overall health of the Web and advance the interests of users and developers. We succeed when we build products that people love, and when other organizations build the traits and features we care about into competing products. For example, we view Google Chrome's recent implementation of the Do Not Track feature we pioneered to be a success for Mozilla and our mission. 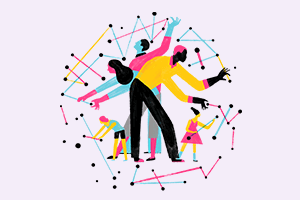 Unlike our major competitors, Mozilla achieves success by helping more people make choices about what software they want to use, what level of participation they would like to have online, and how to take part in building a better Internet. When we see growth in community contributors, software localizations, and a competitive browser market, for example, we know we are moving toward our goals and we are seeing growth in these areas. What was Mozilla’s total revenue for 2011? Mozilla’s consolidated reported revenue (Mozilla Foundation and all subsidiaries) for 2011 was $163M (US), up approximately 33 percent from $123M in 2010. The majority of Mozilla’s revenue is generated from search and commerce functionality included in our Firefox product through all major search partners including Google, Bing, Yahoo, Yandex, Amazon, Ebay and others. Mozilla’s reported revenues also include very important individual and corporate donations and grants, which are growing significantly, as well as other forms of income from our investable assets. We currently have several key business partnerships and are actively exploring new partnership opportunities as well as other potential revenue opportunities. We’ll continue to build great products that help people enjoy the richness of the Internet, and we’re confident that this allows us to identify appropriate sources of revenue that serve both the mission and our users. Some key Mozilla Foundation projects, like Collusion, have received grants from organizations such as the Ford Foundation. We currently have partnerships with a number of search providers that differ by market. In December 2011, we announced a new agreement with Google as the default search provider in Firefox. This new agreement extends our long-term search relationship with Google for at least three additional years. The specific terms of this commercial agreement are subject to traditional confidentiality requirements, and we’re not at liberty to disclose them. What is the status of your commercial relationship with Bing? Bing is included as a search provider in the US versions of Firefox. The arrangement includes revenue-sharing based on traffic sent from Firefox to Bing's search service. What happened with Yandex? Is there anything you can update us on with that partnership? Google is the default search provider on the Russian builds of Firefox. Yandex will remain in the pre-installed list of search plug-ins. The change is part of the global search renewal that Mozilla entered into with Google, which makes Google the search default. Mozilla and Yandex will continue to explore partnerships on a number of fronts, including the customized Yandex edition of the popular Firefox browser and the integration of Yandex search services in other regional builds. What sort of commercial agreements do you have in place in mobile? Mozilla has announced a commercial partnership with Telefónica for Firefox OS. The specific terms of the agreement are subject to traditional confidentiality requirements. We are developing new partnerships with additional OEMs and operators, which will be announced in due course through 2012 and into 2013. We also have numerous arrangements with app publishers who will be included in Firefox Marketplace. How much revenue do you anticipate that will bring in the coming year and what is the business model/revenue model in those deals? We are not providing forecasts or projections at this time. Our main focus is on creating and delivering offerings that address user, developer, and operator needs. At the same time we are continually exploring potential new revenue models that serve both the mission and our users. What makes you think you can break into the smartphone market with two clearly dominant players? 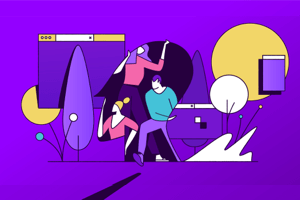 Mozilla believes that the Web is the best platform for innovation, connecting, sharing and for building the world that we want. With Firefox OS, Mozilla is creating an operating system based entirely on open Web standards. HTML5 is an increasingly important technology, which more and more developers are embracing. There is also an HTML5 ecosystem of developers who are already creating applications for desktop web browsers, while many AppStore and Android applications have already been developed in HTML5. How many operator/carrier partners do you have signed up for Firefox OS? The first Firefox OS-powered devices are expected to launch commercially in Latin American markets in early 2013 through Telefónica. We've also announced support for the Firefox OS from global network operators including Deutsche Telekom, Etisalat, Smart, Sprint, Telecom Italia and Telenor, so you can expect more device and OS news throughout 2013. What OEM will you be working with? TCL Communication Technology (who own the Alcatel brand) and ZTE are leading partners to build the first handsets to run Firefox OS. We expect to announce additional OEM support soon. When can we expect to see devices launching in the United States? Europe? The first Open Web Devices will be launched in Latin American markets in early 2013. Other locations have yet to be announced. What is the business model for your app marketplace? 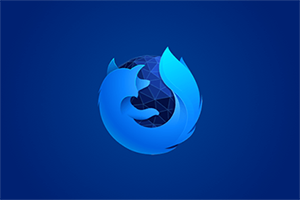 Firefox Marketplace will offer developers’ discovery, distribution and monetization opportunities and will also be customizable by partners. For example, with Telefónica, we will provide direct-to-bill capabilities in the device, in the event that app store owners would like to bill Telefónica customers directly. But app developers are free to use their own billing systems. You can read about this in the Telefónica Marketplace Payments Guide for further details of how payments will work. What are your projections for growth in 2013 in desktop, mobile, OS? We are not providing forecasts or projections at this time.